Call a Specialist Today! 020 3958 0665 Free Shipping! If you are currently working with another reseller you may not be eligible to receive any promotional items with your purchase. Please contact us before placing your order. BarraGuard.co.uk reserves the right to deny free promotional items on any purchase. Please Note: All prices displayed are Ex-VAT. 20% VAT is added during the checkout process. Highly demanding enterprise networks require full-featured application delivery that optimizes application load balancing and performance while providing protection from an ever-expanding list of intrusions and attacks. The affordable Barracuda Load Balancer ADC is ideal for optimizing application performance and availability. Using health and performance checks, the Barracuda Load Balancer ADC distributes traffic among servers for efficient use of server resources and provides server failover for high-availability. Advanced features for application optimization, geo-based load balancing, and integrated security put the Barracuda Load Balancer ADC far above other solutions for performance - and value. The Barracuda Load Balancer ADC is ideal for optimizing application performance. It offloads compute-intensive SSL transactions from the server, preserving resources for applications. In addition, optimization features such as caching, compression, and TCP pooling enable faster application delivery and ensure scalability. Using health and performance checks, the Barracuda Load Balancer ADC distributes traffic for efficient use of server resources and employs server failover for high availability. Global Server Load Balancing allows redundancy across multiple sites enhancing availability and speeding disaster recovery. Content routing and content rewrites enable full control of application traffic and customized application delivery based on users, regions, and/or devices. Client controls gives administrators the ability to throttle requests to ensure application availability even during periods of heavy traffic. Application Security provides superior protection against data loss, DDoS, and all known application-layer attack modalities. Automatic updates ensure comprehensive security for existing and emerging Layer 7 threats such as Cross-site Scripting (XSS), SQL injections (SQLi), and Cross-site Request Forgery (CSRF). The Barracuda Load Balancer ADC is ideal for organizations looking for a high-performance, yet cost-effective application delivery and security solution. With the broadest range of hardware and virtual models, the Barracuda Load Balancer ADC provides maximum flexibility for organizations looking to build highly secure and scalable application infrastructure, whether it's deployed on-premises or in the cloud. The Barracuda Load Balancer ADC has been the preferred solution for organizations looking to load balance and secure Microsoft applications. Certified configuration and deployment guides ensure organizations can quickly and easily scale Microsoft applications, while also securing them against targeted attacks or unauthorized access. Using health and performance checks, the Barracuda Load Balancer ADC distributes traffic for efficient use of server resources and employs server failover for high availability, thereby optimizing application performance. Global Server Load Balancing allows redundancy across multiple sites enhancing availability, improving client response time, and speeding disaster recovery. Application security provides superior protection against data loss, DDoS, and all known application-layer attack modalities. Automatic updates ensure comprehensive security for existing and emerging Layer 7 threats such as SQL injections (SQLi), Cross-site Scripting (XSS), and other OWASP Top 10 attacks. The Load Balancer ADC can be deployed as a hardware or virtual appliance and can intelligently load balance hardware or virtual servers running any number of Layer 7 and Layer 4 protocols. These include HTTP/S, SMTP, IMAP, FTP/S, DNS, XML, TCP, and UDP, as well as a number of other common protocols. Additionally, it supports both IPv6 and IPv4 load balancing and can operate in full IPv6 or IPv4 networks, as well as mixed environments where an address translation is needed to bridge the IPv6 and IPv4 networks. Intelligent traffic monitoring capabilities enable the Barracuda Load Balancer ADC to distribute traffic efficiently while ensuring high application availability. It monitors server health to determine that application servers are not only reachable, but alive. If the Barracuda Load Balancer ADC detects issues, it automatically removes downed servers from the server pool and rebalances traffic among the remaining servers. It has the ability to group servers in the application groups so that if a server in a group fails, it can automatically failover all traffic to the remaining application groups. For scalability and high availability across data centers, Barracuda Load Balancer ADCs can be deployed to balance traffic among different sites in different geographic regions. Organizations can route traffic using a variety of methods such as primary disaster recovery (DR) or closest geographical data center. SSL transactions are resource intensive and can slow down application performance. Offloading the SSL transactions to Barracuda Load Balancer ADCs frees up application server resources to focus on delivering rich applications to end users and ensure application scalability. Barracuda Load Balancer ADCs support offloading standard 1024-bit SSL keys, as well as the more secure and more process-intensive 2048-bit SSL keys. The Barracuda Load Balancer ADC fully integrates Active Directory or any other RADIUS or LDAP-compatible authentication services. Combined with the strong access control capabilities, administrators can provide granular control over user/group access to resources. This ensures that only authorized users will be able to reach applications, guaranteeing that non-authenticated traffic never crosses the DMZ. The Barracuda Load Balancer ADC improves the user’s experience by increasing server response time. Caching web content saves network bandwidth and reduces loads on backend web servers. To maximize outbound bandwidth, the Barracuda Load Balancer ADC can automatically compress content to minimize network traffic between application servers and the end user. Best of all, this capability is compatible with most modern browsers, requiring no additional software. The Barracuda Load Balancer ADC has full traffic control and can route requests to servers based on region, device, browser, or a number of other factors. This enables organizations to deliver customized application responses to users. The Barracuda Load Balancer ADC provides industry-leading security to help organizations secure critical applications. It protects against OWASP Top 10 attacks such as SQL Injection, Cross-site Scripting (XSS), and Cross-site Request Forgery (CSRF). Additionally, Barracuda Load Balancer ADCs have the ability to granularly control the number of requests to protect against rate-based attacks like Denial of Service (DoS) or Distributed Denial of Service (DDoS). Administrators have the ability to intelligently fingerprint and throttle or drop traffic based on IP or client. The Barracuda Load Balancer ADC also offers outbound content inspection for Data Loss Prevention (DLP). 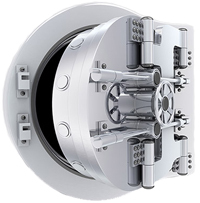 It prevents data leakage by either masking or blocking responses containing sensitive information such as credit card numbers or any other custom data patterns. The security capabilities of the Barracuda Load Balancer ADC are augmented by an extensive network of more than 150,000 sensors deployed worldwide that feed into Barracuda Labs. The sensors provide valuable data for the security research team to build new security definitions and automatically update units in the field. The ability to apply new definitions and “virtually patch” ensure the highest security posture for critical applications. 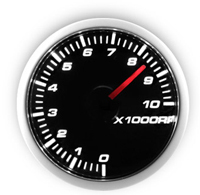 Barracuda provides a complete application delivery solution for Microsoft Exchange and Lync. Barracuda Load Balancer ADCs have been certified by Microsoft as a preferred Hardware Load Balancing solution since 2010. Our highly trained technical support engineers have worked with countless Barracuda customers and partners to design and implement robust solutions for scaling Exchange and Lync applications. Thousands of organizations from numerous verticals deploy Barracuda to ensure high availability, performance, and security of their critical Microsoft applications. There a number of certified deployments and solution guides for all commonly deployed models and versions of Exchange, SharePoint, Lync, Terminal Services, IIS, Threat Management Gateway (TMG) and other popular Microsoft applications. You can find all of our technical guides and solutions at our Barracuda Campus. Barracuda Load Balancer ADC provides full-featured application delivery along with unparalleled performance, plus greater control for applications hosted on Amazon Web Services (AWS). The Barracuda Load Balancer ADC integrates with CloudFormation Templates to support fully automated deployments with bootstrapping and High Availability (HA). Many organizations are using desktop virtualization (VDI) to securely delivery Windows and other desktop applications. Desktop infrastructure is a mission critical application that needs to scale as the organization grows. It is also important this infrastructure be resilient in the face of operational and natural disasters. The key to scalability and reliability is to load balance critical pieces of the VDI infrastructure. The Barracuda Load Balancer ADC comes in multiple models to fit organizations of every size. The entry level Barracuda Load Balancer ADC 240 handles 10 or more real servers with 100 Mbps traffic throughput. The high-capacity Barracuda Load Balancer ADC 840 supports 500 real servers, 10 Gbps traffic throughput, complete application security, and high availability configurations. The Barracuda Load Balancer ADC offers the most flexible deployment choices of any load balancer available: Route-Path, Bridge-Path and Direct Server Return. Barracuda Load Balancers ADC can also be deployed to balance traffic among global and regional datacenters for higher-level scalability and high availability. Route-path deployments provide the most flexibility. 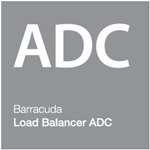 This mode load balances servers downstream from the Barracuda Load Balancer ADC. Bridge-path is the simplest to configure. Administrators place the Barracuda Load Balancer ADC in line with their IP infrastructure and add servers as needed without changing IP addresses. With Direct Server Return (DSR), low-bandwidth requests come in through the Barracuda Load Balancer ADC, which hands them off to servers. The servers respond directly to requests through their own interfaces outside the Barracuda Load Balancer ADC. 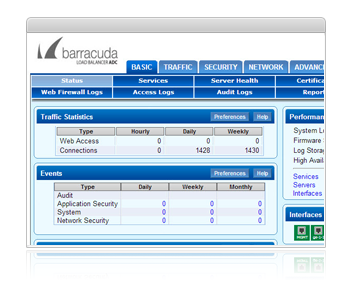 The Barracuda Load Balancer ADC can be easily configured through an intuitive web interface. The screens are designed for fast navigation and it’s simple to create appliance settings and rules for load balancing. Administrators can quickly add services and servers with “Auto-Discover,” or choose to add them manually. And, pre-built security templates provide immediate security without the need for time-consuming tuning or specialized training. The dashboard lets administrators monitor overall network performance at a glance. Easy to read graphs show detailed usage over time. The Heath Status feature provides quick access to health and performance of your servers and services. 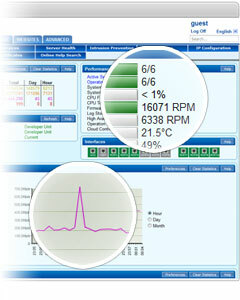 The service monitor tests services and real servers displaying their status in the web interface. Information from the service monitor is helpful for guiding administration. The service monitor also automatically removes downed servers from the server pool. Backing up the Barracuda Load Balancer ADC’s configurations is easily automated to keep a copy of the latest configurations at hand for fast restoration. Monitor overall network performance right from the Barracuda Load Balancer ADC's dashboard. Easy to read graphs show detailed usage over time. Monitoring usage trends can be a great help in planning for future growth. A single management pane for both load balancing and security makes administration simple and efficient. 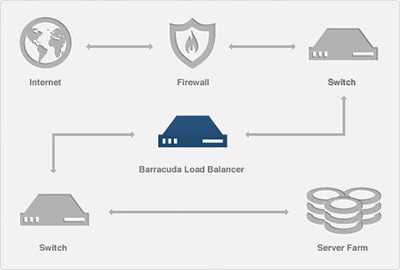 What security features does the Barracuda Load Balancer have? The Barracuda Load Balancer has a built-in Intrusion Prevention System (IPS) as well as Access Control Lists (ACL) and an SSL-secured web UI. How many servers does the Barracuda Load Balancer support? The Barracuda Load Balancer 240 supports up to 10 real servers while a Barracuda Load Balancer 640 can support up to 250 real servers. Is it easy to add new servers? Servers can be added in one step through the Barracuda Load Balancer's web UI. What protocols and applications does the Barracuda Load Balancer support? The Barracuda Load Balancer works with any TCP/UDP service or application. What is Direct Server Return? Direct Server Return is a load balancing mode unique to Barracuda Networks that manages low-bandwidth requests through the load balancer, but delivers high-bandwidth responses directly to clients without routing back through the load balancer. Can the Barracuda Load Balancer send traffic to backend servers based on the URL or header? The Barracuda Load Balancer can route traffic using content rules. These rules can use content from incoming requests such as URL, domains, cookies and HTTP headers. All prices displayed are Ex-VAT. 20% VAT is added during the checkout process. Please Note: Energize Updates and Instant Replacement Subscriptions need to be maintained for every Barracuda Product. All subscriptions are continuous and must start from the date of activation. Renewals purchases are continuous and start from the date of expiration of your current subscriptions. No exceptions. Basic Support, which includes email support 24x7 and phone support between the hours of 9 a.m. and 5 p.m. Monday through Friday in the US (Pacific Time), Japan, China, Austria and the United Kingdom time zones. Firmware Maintenance which includes new firmware updates with feature enhancements and bug fixes. Security Updates to patch or repair any security vulnerabilities. Optional participation in the Barracuda Early Release Firmware program. Enhanced Support which provides phone and email support 24x7. Data migration service for Barracuda Spam & Virus Firewalls. Barracuda Networks will assist movement of data and configuration from the old product to the new product if the old data is accessible. Data recovery service for Barracuda Backup Servers. In the event of a disaster and upon request, Barracuda Networks will preload the most recent data and configuration stored by Barracuda Networks to the new product (note this may take additional time). Hard Disk replacement on Barracuda Networks models that have swappable raid drives. Barracuda Networks will ship via standard shipping a hard disk replacement. Customer must return the failed hard disk to Barracuda Networks. Energize Updates include Basic Support (Email 24x7, Phone 9am-5pm PST), Firmware Maintenance and Updates, Security Updates, and optional participation in the Barracuda Early Release Firmware program. Instant Replacement includes next business day replacement hardware, Enhanced 24x7 Phone and Email Support, Data Migration and Data Recovery Services, Hard Disk Replacement and a Hardware Refresh every 4 years. Please Note: Premium support on models 4X0 and below is available for customers who have purchased premium support on models 6X0 and above. Premium Support must be ordered WITH Instant Replacement for all hardware models. It may be purchased on virtual appliances without Instant Replacement purchase. 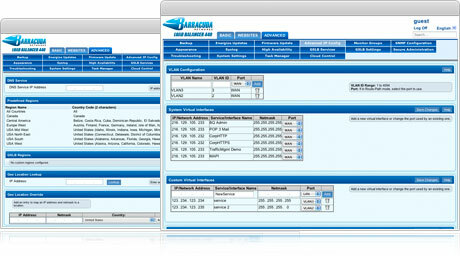 BarraGuard.co.uk is a division of Virtual Graffiti Ltd, an authorised Barracuda Networks online reseller.